Our pet for 4 years Aloha loves to join contests like this. 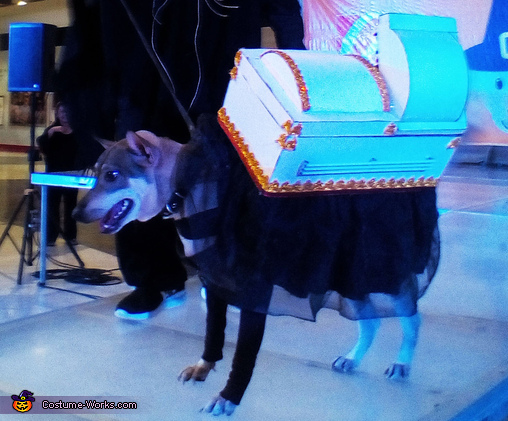 In this photo her props/costume is a coffin at her back. It is made up of a styro box covered with illustration board. We decorated this with gold lace and some balloon sticks as the coffin's holder. Actually the idea just popped-up in our mind. We thought of scary scene and that's having a coffin at her back.